Hi, I’m Chris MacShane “Mac” (Owner of Mac’s Autoglass) I have been in the autoglass industry for over 30 years. My wife (Diane) and I have lived in Baldwin County, Alabama for over 11 years. 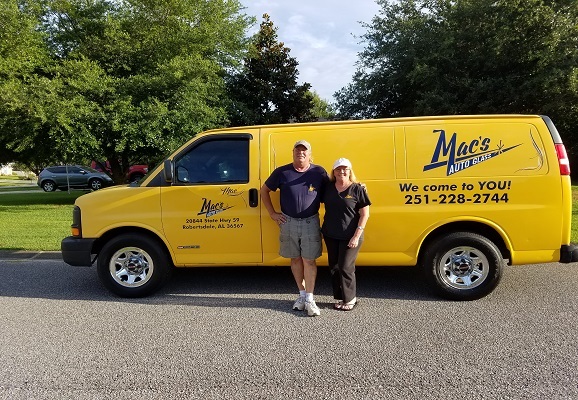 We started Mac’s Autoglass in Feb. 2016 and although we are a new small business we provide excellent service & professional installations for all your auto glass needs.